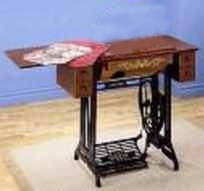 The best treadle machine to be found. The Janome 712T is as versatile as it is practical, with a top loading bobbin and 10 utility stiches. 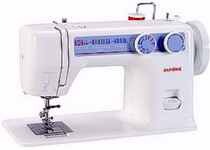 The unit includes a one step buttonholer, zipper foot, zig-zag stiches, overedge foot, hemmer foot, blind stitch foot, and toolkit. Use with table and belt assembly #FT536 below.